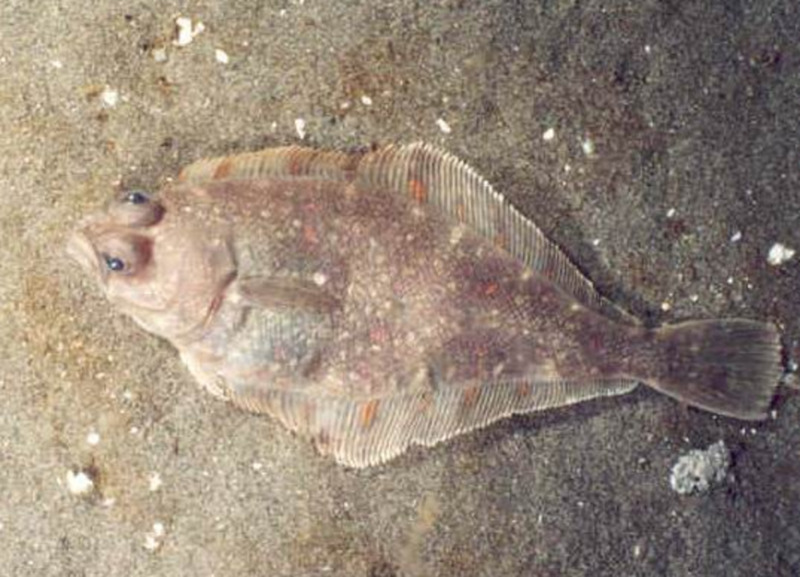 The Pacific Sanddab is a type of flatfish, similar to flounder, halibut, and sole. It is the most common species of sanddab (also spelled sand dab, sandab, dab) within the genus. While the Pacific Sanddab ranges up and down the western coast of the US, other species can be found all over the world. Since they are so plentiful, and see virtually no commercial fishing pressure, most states have very generous seasons and regulations regarding sanddabs. 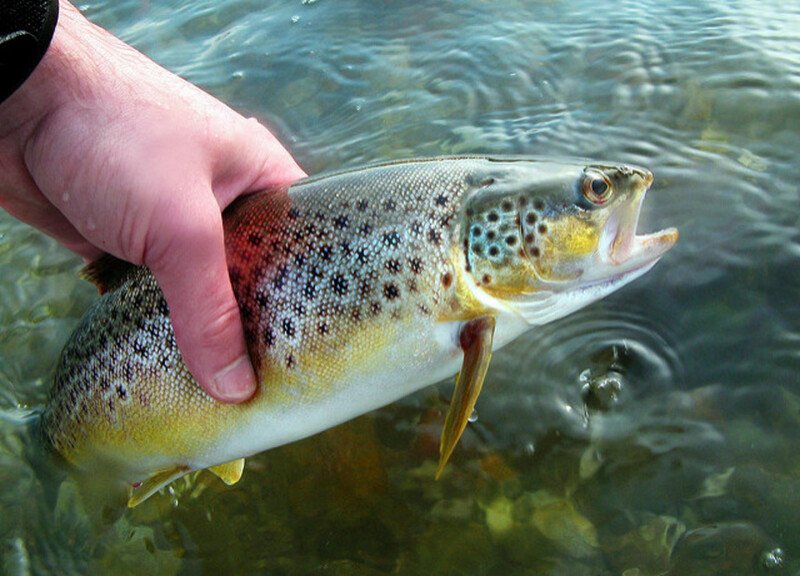 This makes them a great fish to catch during the off season when other fisheries are closed. While they are one of the smaller species of flatfish, only growing up to 16", they have the same delicious white meat and fry up great! Saltwater spinning reel, "2000/2500 size"
I'll go into further detail about each of these below. For a rod you will want something with a fair amount of backbone, but also a sensitive tip. A medium-fast to fast action trout rod is perfect. A spinning rod/reel setup is preferred for sanddab. Having enough backbone in the rod is helpful when sinking the hook at the depth you will be fishing. I often opt for a slightly overpowered rod in case I hook a larger species of flatfish. 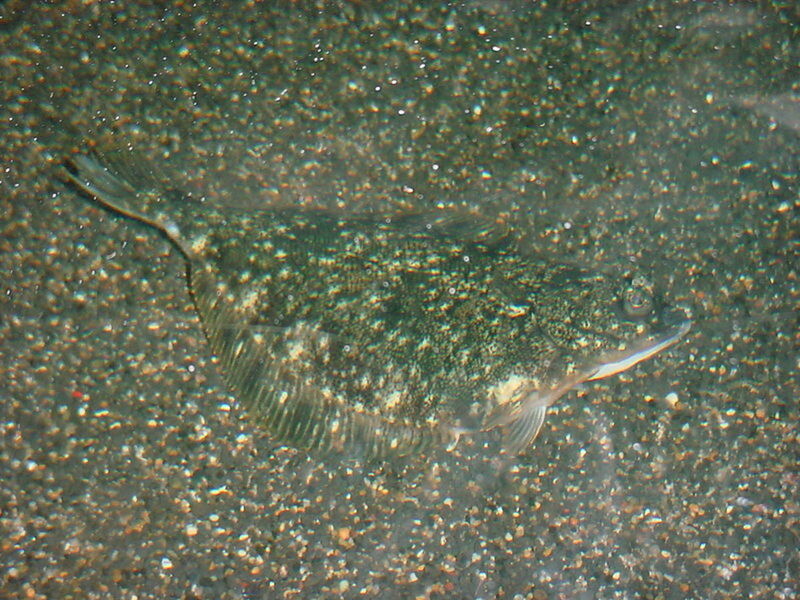 Here in Washington, Rock Sole and Starry Flounder, which can both reach sizes greater than 24", often inhabit the same types of habitat as Sanddab. If you hook into one of these, you'll be glad you had the extra strength to fight it. Choosing a rod with a sensitive tip is even more important. 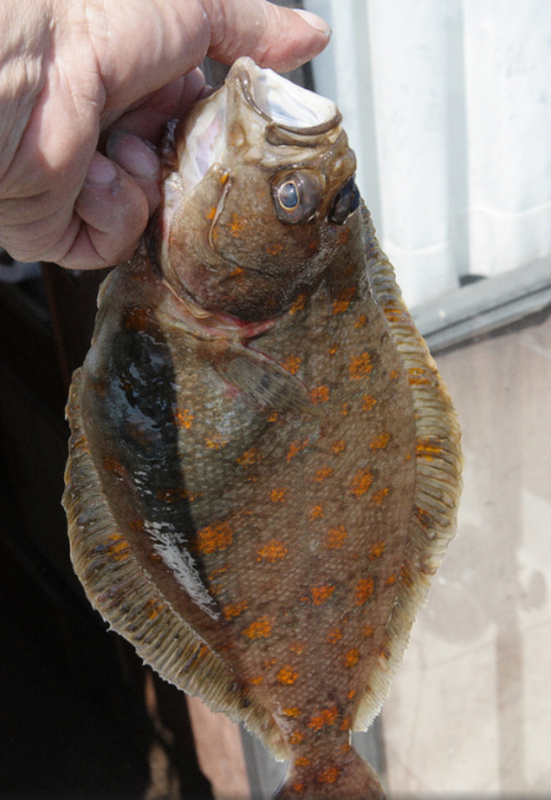 Sanddab are very light biters, so a responsive tip is crucial to identify a bite. Summary: Best choice would be a 6- to 15-lb-test rated fast action graphite spinning rod. The only big requirement here is that the reel is rated for saltwater. This should go without saying since sanddab live exclusively in saltwater. A spinning reel is preferred here; just make sure it is balanced with the rod you're using. Since you will likely be fishing at a decent depth (75'+), go with a medium sized spinning reel (2000 or 2500 size for most brands). Ultralight spinning reels don't hold enough line, and pick up line too slowly to fish effectively at the desired depth. Summary: The best choice would be a medium-sized saltwater rated spinning reel capable of holding at least 150 yds of 8lb test monofilament. My new favorite saltwater spinning reel is the Penn Battle II. I've been blown away by the performance of this reel for the price: rock solid drag stack, corrosion resistance, velvety smooth retrieve, and awesome casting distance. I couldn't be happier with that purchase. There are two options here. Monofilament is completely passable here. One of the great things about sanddab fishing is you don't need to shell out hundreds of dollars on gear. If you want to save a little money here, go ahead and spool up with 8- or 10-lb monofilament. While 8 or 10 lb is overkill for sanddab, there are lots of barnacles, rocks and weeds which love to snag and chip away at your line. The heavier line will save some of your tackle in the long run, and mean less time re-tying and more time catching. If you want to give yourself an extra edge while you're sanddab fishing, I would suggest spooling up with braided line. Braided line has virtually zero stretch, meaning the subtle bites from the sanddabs are much more easily detected. Additionally, the manner in which sanddab feed (I'll cover this further down the page) means you'll miss less hook strikes. 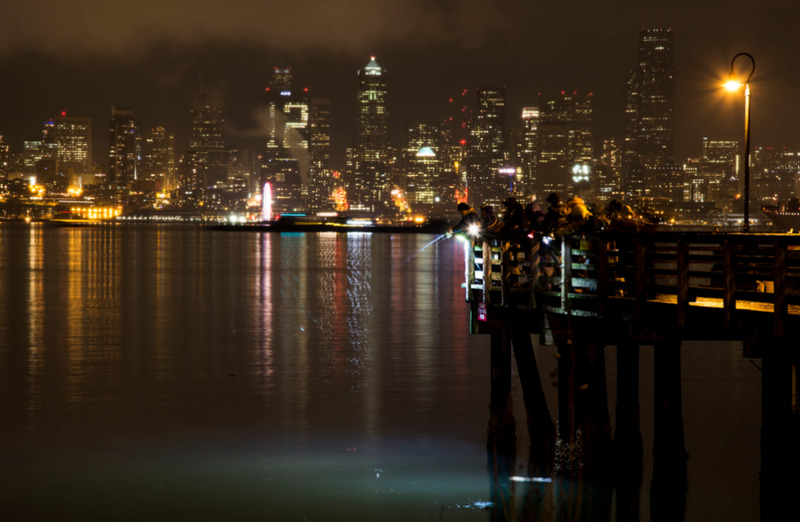 Since monofilament stretches substantially when fishing light line in deep water, especially if there is current, the light bites can be further muted by the stretch in the line, making them hard to detect. Braid is of course more expensive though, so its up to you. 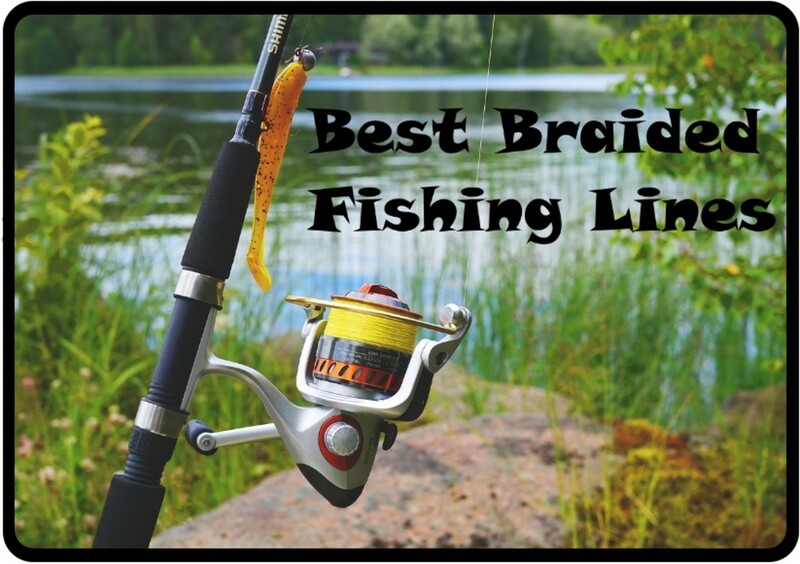 The deeper you plan on fishing the more strongly I would advise using braid. Anything deeper than 100ft and I would very strongly recommend it. 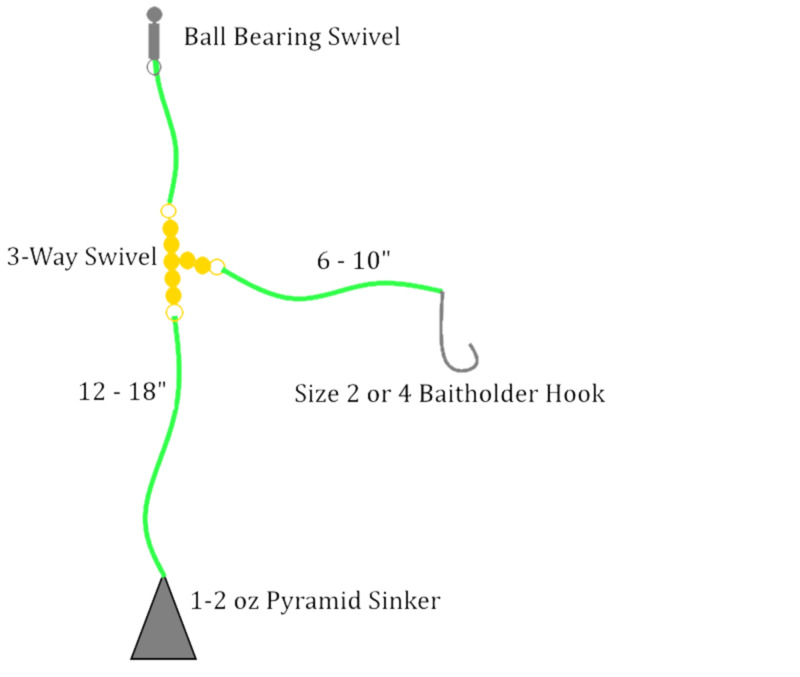 The primary rig for fishing for sanddab is a basic bottom fishing rig designed for bait. One challenge with sanddab rigs is that they require light tackle and small hooks to be fished relatively deeply. This means that jigs are generally out of the question since any jig heavy enough to be fished deep enough will have far too large a hook for a sanddab to get in its mouth. The basic rig you will be using is pictured to the right. Depending on where you are fishing, you may be allowed to fish with more than one hook. In Washington, you are allowed two hooks. Some places in California I've seen people use many more than this. Check your local fishing regulations to confirm how many hooks you are allowed. 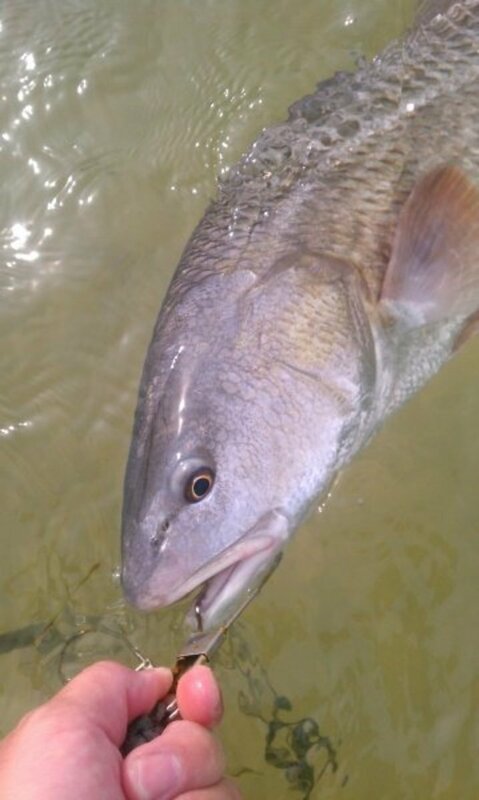 To increase your chances, use at least two hooks if allowed; the more bait in the water, the better your odds of catching. Also, double hook-ups are fairly common and a lot of fun! If you decide to use two hooks, just tie an additional 3-way swivel on your main leader and attach another 6 - 10" dropper leader with another size 2 to 4 baitholder hook on the end. Select the weight based on how deep you are fishing, and how fast the current will be moving. In shallow water with low current, 1 oz will be plenty. In deeper water with more current, size up to 2 or 3 oz. If 3 oz is not able to stay on the bottom, move somewhere with less current. If you're not fishing on or very near the bottom, you will catch ZERO fish. Sanddab will rarely move very far off the bottom to chase down a meal. Ideally you have enough weight to keep your line near vertical. This will allow for the easiest bite detection. Summary: For line, tie up with a 6lb monofilament, fluorocarbon if you want to splurge. You will need a handful of standard barrel and 3-way swivels, size 2 or 4 baitholder or octopus hooks, and a selection of weights ranging from 1 to 3oz. For the swivels, cheap is fine here: no need to use ball-bearing swivels. For the weights, select a style that is designed to hold the bottom in sand or mud, like a pyramid sinker. Cannonball sinkers will move around too much on the bottom in current. The weight may need to be adjusted for depth, current, or casting. "Gulp is the best scented bait on the market. This is a great alternative from having to find a bait shop. I have caught a lot of surf perch on them in NorCal. They last a long time too if you keep throwing them back in the pack. Great bait and you won't be disappointed." Whats your favorite saltwater bottom fishing bait? Sanddab get their name from their preferred habitat: sand. Sanddab are most effectively fished at anchor, so position the boat over a sandy bottom, drop anchor, and drop your line in. Having a marine chart can help locate a sandy bottom of appropriate depth, although if you don't have one, the closest beach is a pretty good suggestion of what kind of bottom you are fishing over: if it's sandy on shore, it's likely sandy off shore. Depthwise you should be looking between 50 and 120'. In general, I have found the largest sanddab in the deepest water. If you are consistently snagging gear on the bottom, or pulling up lots of seaweed, you are fishing over the wrong bottom type and need to move. The arguably most important part of sanddab fishing is finding the right bottom type. Sandy bottom in about 80 feet of water is almost guaranteed to be home to a large population of sanddabs. Keep moving until you find some willing biters. Sanddabs, along with most flatfish, have an interesting feeding habit. Before actually eating their prey, they will often attack and stun it by flopping on top of it. You will usually feel this on the line. 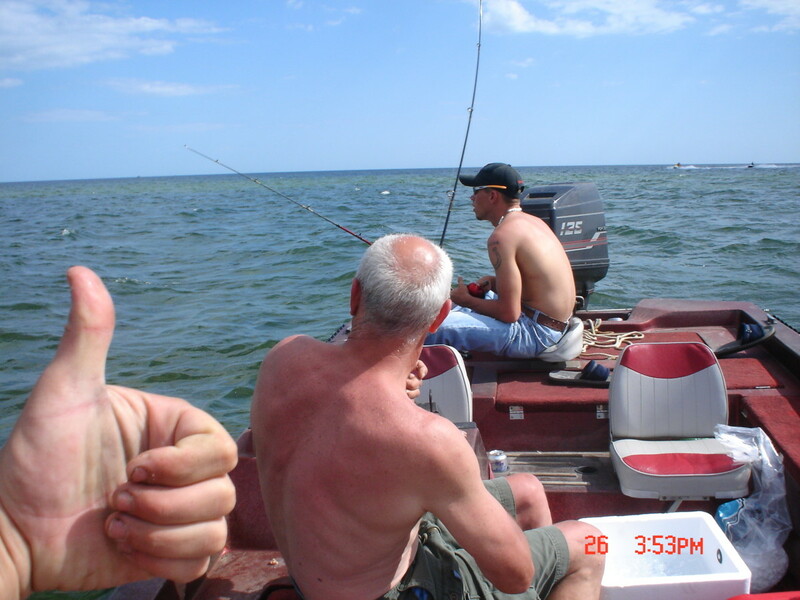 If you set the hook on the first bump, you will rarely hook the fish (sometimes you will foul-hook it in the belly). Instead, after you feel the first bump, let the line go slack. 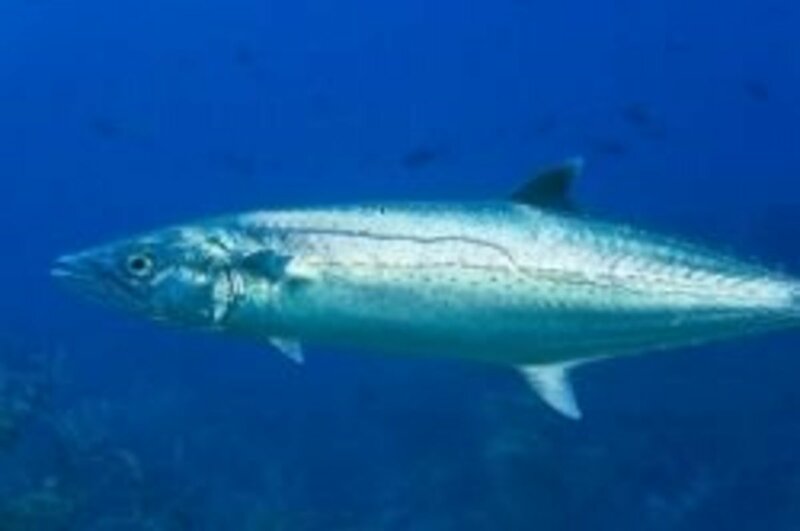 If the fish feels the resistance fall away on the line, it will then circle back, thinking the prey is stunned, and eat it. Now is when you set the hook. I usually wait for the 3rd or 4th tap on the line before setting the hook. A hook set on the first tap will almost never result in a fish on the line. Waiting is key. Sanddab also rely on their lateral line to tell them when food is in the area. Once your rig is on the bottom, jig your rod to bounce the weight up and down on the bottom. The resulting vibrations will attract hungry fish in the area. 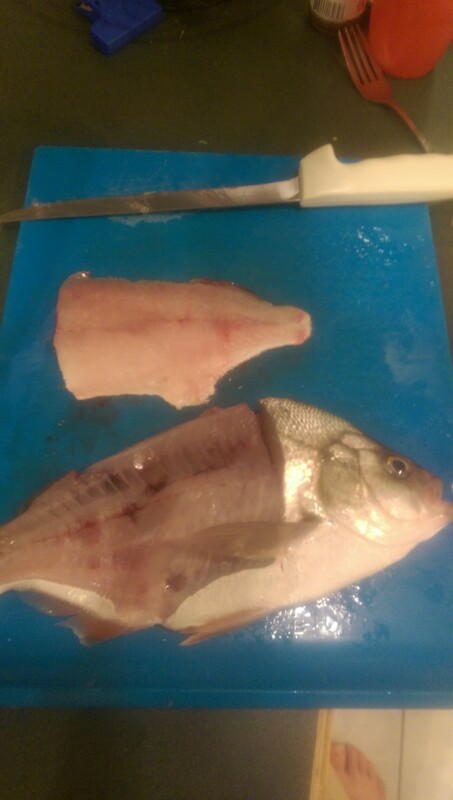 Depending on the size of the sanddab, the two methods of preparation are either filleting the fish, or cooking it whole. Larger fish can be filleted fairly easily, but smaller ones should just be gutted and cooked whole. Once cleaned or filleted, just sprinkle the fish with seasoned salt and pan fry in hot oil. Since the meat is fairly thin, it won't take more than a couple minutes. Even better, batter and deep fry for some of the best fish and chips you've had! When finished, sanddab has delicious flaky white meat. Explaining how to fillet a fish is difficult, so here's a video of someone who is VERY good at filleting sanddab. Do you have your own sanddab fishing tips? A secret bait you want to share? 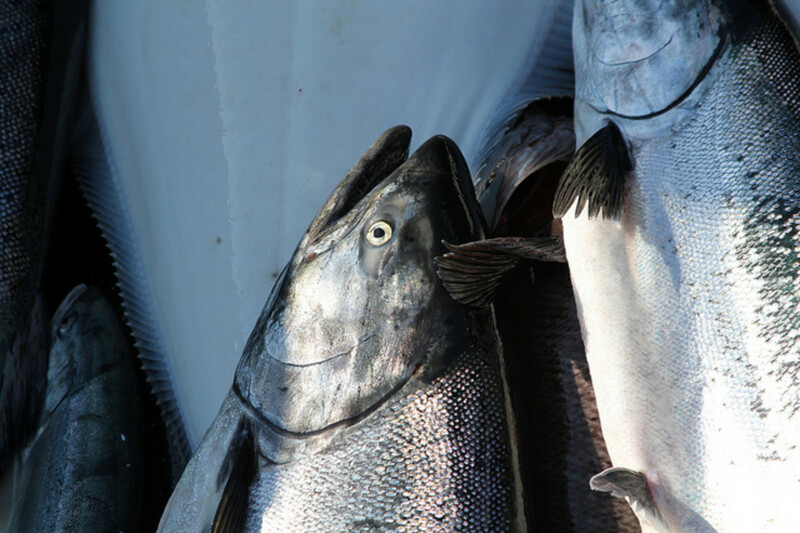 Need help finding fishing regulations and seasons in your area? General bottom fishing questions for me? Let me know in the comments section. Thanks!